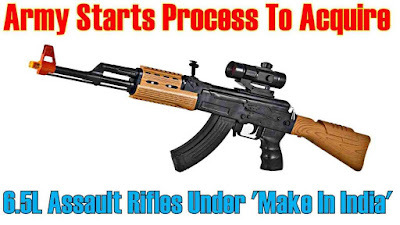 01st Sept. 2018: The Army today issued a fresh tender to procure 6.5 lakh new assault rifles, but with a key change in specifications — the fourth such alteration since 2011 and second in 18 months. Indian suppliers can also bid for the project, which can be undertaken in collaboration with foreign manufacturers. The Army now wants a 7.62x39mm rifle, a decision contrary to the one taken by the Ministry of Defence in January 2017 when it had cited “changed operational philosophy” to approve a 7.62x51mm rifle. A procurement process is currently on for 72,400 such rifles from foreign sources. 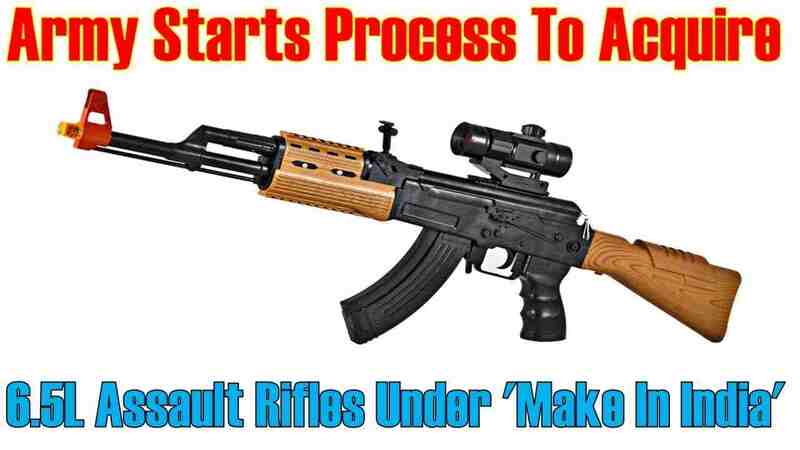 A team of experts has checked out new rifles and is compiling a report, sources told The Tribune. 2007: Indian Army decides to change its three-decade old INSAS rifles with new hi-tech weapons. 2011: First tender is issued for a dual calibre rifle that allows two types of ammunition — 7.62x39mm and 5.56x45mm. 2015: Tender issued in 2011 is withdrawn ■ Second attempt is made to buy modified INSAS 1C rifles, but it is scrapped too after the Army opts for a rifle for heavier 7.62x51mm rounds. Jan. 2018: Third change comes in as Ministry of Defence okays purchase of 72,400 7.62x51mm rifle rifles. Aug.31, 2018: Fourth effective change is made as the Indian Army now wants 7.62x39mm rifles and issues a fresh tender to procure new 6.5 lakh. The new specifications would mean a lesser firing range and a different barrel from the 72,400 rifles the Army is already buying. At present, INSAS rifles (5.6x46mm) are being used, which is a three decade-old design. The Army has called in suppliers over the next fortnight and aims to issue a request for proposal (RFP) — second stage of tender; first is request for information (RFI) — by December. In February, the Defence Acquisition Council headed by Defence Minister Nirmala Sitharaman had okayed the procurement of 72,400 assault rifles from abroad and separately, the MoD invited Indian defence equipment makers to send in their bids to make 5.5 lakh rifles as per then specifications to fire a 7.62x51mm round. Source of Information: The Tribune Newspapaer.